The Sweetness (APR162173) is a new science-fiction adventure comic about intergalactic smugglers due out in June. It's going to feature the talents of Miss Lasko-Gross and Kevin Colden and now it's got a trailer. Set in the future, the first collaboration from the married creative team of Lasko-Gross and Colden follows two badass female intergalactic smugglers catering to the unique tastes of Alien drug addicts with a mysterious controlled substance. 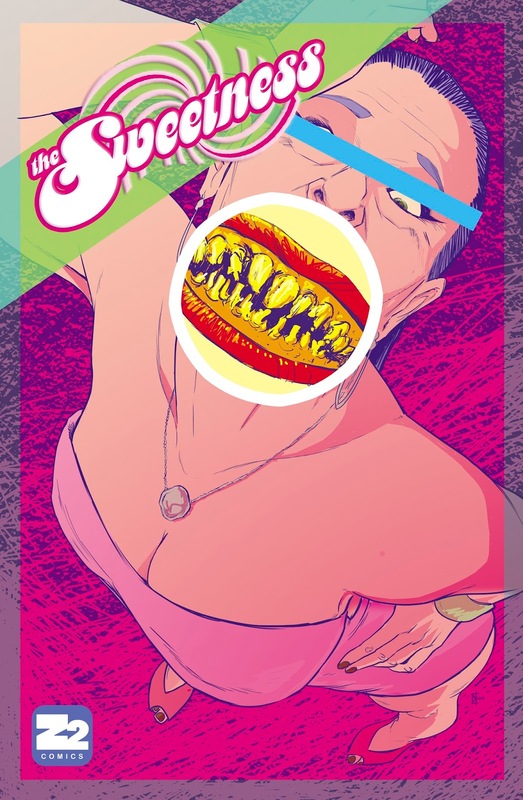 In The Sweetness, Miss and Kevin have crafted characters and storylines that are effortlessly feminist in ways other popular comics play lip service to but don’t quite land. “I want people to be excited about a badass space smuggler story and fall in love with the characters,” says Miss Lasko-Gross. “I hope readers are sucked into the story by the surreal moments of twisted humor and surprise."